Located just south of the equator, the African country of Rwanda was the home for a recent initiative to increase the number of match officials. Organised under the auspices of ITTF High Performance and Development, a Basic Umpires, Basic Referees and Tournament Organisation Course was held from Monday 26th November to Monday 3rd December ; the expert on duty was Belgium’s Isabelle Beumier. 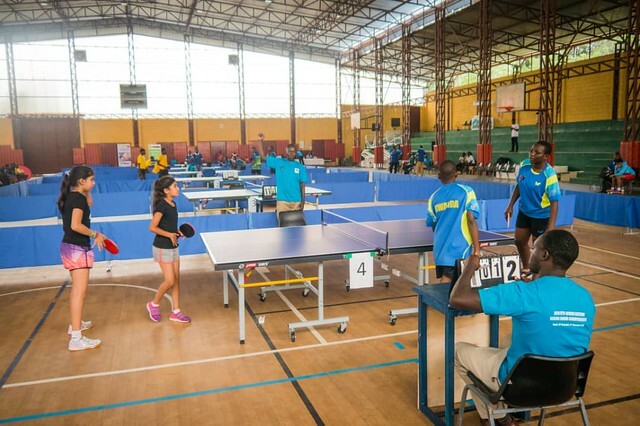 Significantly, it was the first such course to be staged in the country, very much supporting the efforts of John Bosco Birunghi, the President of the Rwanda Table Tennis Federation, in the past two years thanks to his efforts, there have been major strides forward. Notably, some 40 table tennis tables have been allocated to local schools. Overall, 20 students attended the Basic Umpires Course of which 15 attained the required pass mark. Recently very much in liaison with the course, on Saturday 1st and Sunday 2nd December at the Green Hills Academy Gymnasium in Kigali, the East Africa Regional tournament was staged attracting entries from Eritrea, Kenya, Tanzania and Uganda. Unfortunately, no member gained the required pass mark required in the two day Basic Referees Course. A total of 12 candidates attended the Tournament Organisation Course and received the relevant certificates of attendance. It was for all a learning experience and was well received, the efforts of the Rwanda Table Tennis Federation being appreciated; a fact summed up by Anthony Napo. Undoubtedly the initiative proved most worthwhile.